How does gender drive identity? And what do we mean by gender anyway? We live in an age of something far more fluid than the standard male/female dichotomy. It’s not surprising many people are feeling confused. If individuals are fluid in their identity, then maybe society as a whole is constantly in flux. How does gender drive identity? And what do we mean by gender anyway? We live in an age of something far more fluid than the standard male/female dichotomy. It's not surprising many people are feeling confused. If individuals are fluid in their identity, then maybe society as a whole is constantly in flux. And what's LGBTQQIAAP2S? Almost certainly someone you know and love answers to one of those descriptors. Gender issues are in the news a lot these days — and it's not always been positive. 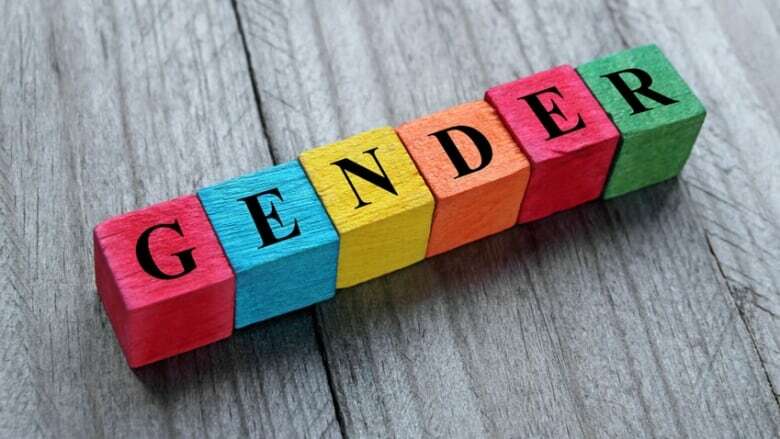 Psychologist Jordan Peterson sparked an uproar with his protests against the idea of multiple genders, and more particularly, the idea that we might be compelled to use multiple-gender language. The idea of a "rainbow society" with a whole spectrum of genders has been around for awhile: outside of old fashioned male and female identities, there's gay and lesbian — but arguably, these are not gender categories, they're more to do with sexual orientation. Beyond gay and lesbian, however, the meaning of gender gets murky: some people identify as two-spirited, or queer, or questioning, and there are other categories too. Many of these people say their identity has less to do with sexual orientation, and a lot more to do with gender — they're arguing that there are genders outside of male and female. It's probably not accidental that we're living in a era where we're questioning the basic building-blocks of identity at the same time that we're questioning the building-blocks of society itself. How we might live together seems to be naturally linked to the more basic question of who we are, how we see ourselves as individuals. From The Stratford Festival, a discussion on gender and identity, and what it means to live life on the margins. "Radical Reverend" Cheri DiNovo is an NDP member of the Ontario Legislature, and the first person in Canada to conduct a gay marriage. Syrus Marcus Ware is a Vanier Scholar, a visual artist, community activist, researcher, youth-advocate and educator. Kim Katrin Milan is a writer, multidisciplinary artist, activist, consultant, and educator. Tiq Milan is is a writer, public speaker, activist, and strategic media consultant. He is currently a national spokesperson for GLAAD and the former senior media strategist of national news at GLAAD. **This episode was produced by Philip Coulter. Special thanks to David Campbell, Ann Swerdfager and Antoni Cimolino at The Stratford Festival.